The ground-to-ground missile aimed at the Golan on Sunday, Jan. 20 was fired by Al Qods and made in Iran, the IDF spokesman said Monday. DEBKAfile: It was a Fateh-110 missile that was launched from a point in the Damascus region which Russia had promised would be kept out of bounds to the Iranians. The missile was intercepted by Israel’s Iron Dome air defense system. It may be recalled that last year, Russian officials, including Foreign Minister Sergei Lavrov, affirmed that the Iranians had withdrawn deep inside Syrian territory, more than 80km from the Israeli border. IDF army spokesman Brig. Gen. Manelis said in a statement on Monday, Jan. 21 that Sunday’s missile attack on the Golan was aimed at civilians and carried out by the Iranian command – not local militias. For the first time, an Israeli military spokesman named the Al Qods Brigades (of the Iranian Revolutionary Guards under the command of Gen. Qassem Soleimani) as being present in the Damascus region. He said the Iranians “had planned the attack in advance for the purpose of deterring Israel from continuing its operations against them,” stressing: “This was an Iranian attempt to attack Israel.” Manolis said that, early Monday, Jan. 21, Israel, in its most extensive offensive hitherto against Iranian sites in Syria, had struck 10 targets, including “an important weapons warehouse” near the civilian section of Damascus International Airport” and, in other locations, an Iranian intelligence site and an Iranian training camp in Syria’s south. Some Iranian military facilities were embedded in Syrian military compounds. A series of secondary explosions was set off. Manelis said: “We warned the Syrians not to fire anti-aircraft missiles at our planes during the strike and they chose to fire anyway.” The IDF had responded with three waves of air strikes against the Syrian batteries. DEBKAfile: The IDF spokesman made no mention of Russian involvement in Syria’s air defense operations against Israel. On Monday morning, the Russian army issued the following statement: Syrian air defenses destroyed over 30 cruise missiles and guided bombs when repelling the Israeli air strike. The statement added that 4 Syrian soldiers had been killed in the Israeli attack and 6 injured. Shut the airport and Russia needs to expel Iran if it wants to be the boss in the region. That Damascus airport needs to be closed permanently because it is a facility to transport and store weapons of war and terror. Maybe it is time for Russia to say no to Iran and push them out. There is not room for two meddlesome powers with opposing purposes in the region. Sadly for you, the Iranians don’t have the guts for carrying out your grandios plans, even with the Americans out. I am inclined to believe you.Specially when the survival of the Jewish state is at stake. Israel needs to be nuked so the fake Jewish issue can be permanently solved. May be they should shut Tel-Aviv airport so Israel does not get these missile to attack its neighbors. Syria needs to fire missiles at Tel – Aviv airport otherwise these Zionist occupier will carry on with their attacks. Yes I am certain either Iran, Syria or both can safely fire missiles at Ben Gurion airport & Israel will not respond at all. The lone missile attack against the Israeli ski resort that responded with 3 waves of Israeli attacks against Iranian & Syrian forces, defenses & strategic targets was entirely by accident but, if they actually attack a strategic target in Israel, the Israelis will simply run & hide. Could this possibly supply the motivation for the Russians (who say they want stability in Syria so they can rebuild it “their way” ) to demand that the Iranians and all of their Shiite proxies leave Syrian territory………….or are they afraid to even ask the Iranians and all of their friends to leave? Iran will make a mistake soon. A big one. Coming are simultaneous flights of hundreds of cheap drones to confuse Russian/Syrian/Iranian air defenses wherein they will run out of their expensive SAMs in minutes. Trying to replenish the SAMs will result in their transshipment destruction, as Russia, Syria, and Iran will also run out of funds to pay for them. Great military and strategic tactic (on the part of the Israelis)……………….it would be just great if that works……………………at least for the first time! This means that either the Soviets (oops————–I meant the Russians) lied or they evidently have no control over the Iranians and if that’s the case, it’s Iran who will be telling the Russians to leave Syria sometime in the near future……………………stay tuned! Our Great Ayatollah would greatly appreciate Mosque over Moscow as a better Islamic name. Just another fine day in the Middle East coming up over the horizon! This cover story makes no sense. Just like Israel would fire a volley of missiles and decoys in an attack, so would Iran or Syria. In fact back in the Iraq/Iran war, they were sending volleys back and forth. This is probable fake news. Firing off one missile, like when the Gazans (whom I agree shouldn’t have control over that territory, that was Sharon’s blunder) fire one bottle rocket and then the IDF pounds them (even if they just bounce rocks because Hamas is dug deep and immune to bombings…) is a worn propaganda technique. At the same time, I have no idea what Syria and Russia are thinking allowing the IDF infinite tries to figure out how to defeat their anti-missile batteries. Even allowing IDF drones to do BDA without shooting them down, makes no sense to me at all. Given enough tries, the IDF will defeat any defense. Both sides actions make no sense at all to me. It makes sense perfect sense. The squatters attacked Damascus the day before and hit ZERO of their targets. Then ‘Iran’ fires a rocket, offering pretext for a new attack while camouflaging the failed one. Except this one failed, too. No damage to Damascus. Dozens of rockets and millions of dollars to kill 4 Syrians. Apart from the bloodlust derived by antisemites from killing Arabs, no strategic objective was met. yeah “hit zero of their targets” and yet 6 Syrian and 12 Iranian soldiers dies of what? diarrhea? The time for Israel to speak has come. We should be quiet… and listen. How can Israel be allowed to terrorize Syrian people on the pretext of defense, after ocuppying part of their country? Where is international law in this case? Where are basic human rights? This has been going on for decades and the world kept silent….for how many years more? BTW: Syria is officially at war with israel. Mr. “human rights”: Syria is and always has been officially at war with Israel. Israel has a human right to defend its own. Golan was conquered after Syria invaded Israel from the North. Israel has deep historical Jewish roots in the Golan. Israel has owned it for much longer than Syria, and it has been integrated into the state. Israel is not terrorizing “Syrian people”. Israel is terrorizing Iranian military personnel who are in Syria preparing to wage a war. Only a fool would let them go ahead with their plans unfettered. For the love of God, open your eyes. The Stolen Golan IS currently conquered. Not unlike Aleppo in November 2016. Or Dien Bien Phu in 1953. The war hasn’t ended, as the previous poster pointed out. The LOSERS’ days there are numbered. Israel needs to finish it off, or be prepared for a major war, even when they have to start it themselves. You have to do it now, while trump is still in the white house. It is time to hit harder as you did ever before israel. This dutch veteran is prepared, even when im almost to old for active service,bto take service in the idf and to fight! Hizbollah will rip their faces off. Again. The antisemitic squatter colony hasn’t won a war this century and hasn’t stolen an inch of land in 50 years. Their days of calling the shots from 35,000 feet are over. The army can’t fight. And the population is filled to the brim with chickenhawks. ¿Qué pasa? ¿no se puede comentar? ¿puede alguien informar cómo participar? Iranian terror forces coming near to Israel. It is obvious that Israel has to act against this aggression. I hope Russia will understand this and support Israel in this issue. I like your idea, S. Bach, but it does not follow the Russian agenda: wipe out Israel so they can then move in and take over Saudi Arabia with no effective deterrents. Think “OIL”, . . .
Today, . . . a serious move against SA would get a serious Israeli / American response. 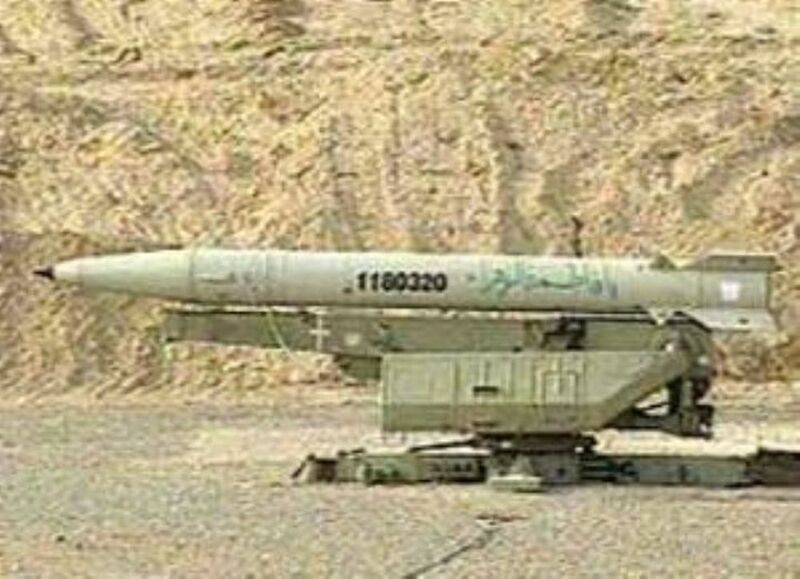 Wouldn’t those numbers on the missile shown have Irani-Persian numerals on it? Why are you not attacking Iran back? They are attacking you. Take out a refinery or two. When it comes time for Israel to attack Iran, they will be doing far more than taking out a refinery or two. Until that time comes, they help to create strife & discord with the Iranian population against their government while costing the Iranian government a lot of hard cash they cannot easily replace destroying arms & equipment which is close to Israel & easy to destroy. Israel knows an attack on Iran would also require the elimination of both Hamas & Hezbollah in the process so they are destroying their attack tunnels, built at great cost also, while placing barriers to make it much harder to attack Israel. They are also building up allies in the Arab world who also fear Iran’s continued expansion of aggression because those nations can both help in the destruction of Iran along with providing bases for Israeli planes. Those Arab nations are also finally realizing that financing the “Palestinians”, Hezbollah & Hamas is a losing proposition which is why they are cutting funding & ties with them. It takes time to prepare all of that because Israel also knows an attack on the Iran homeland would be treated the same as if Iran launched missiles from Iran against Israel meaning only one survivor. Israel needs to fire at Iranian facilities that build the missiles. If not Iranians will always feel protected. Dangerous move by the Iranians, an index of their ultimate intention if their build up of power is not destroyed. Most probably Russians welcome the Israeli attacks to impede the Iranian influence in Syria………… ISIS should not have been destroyed. They would have kept Iranians and their proxies busy for a long time. Russia blew up ISUS when it took out their oil convoy. The squatter air force defended them with everything it had. They even sent little idf comfort women to give them handjobs while in the hospital. The next target for the IDF needs to be Tehran. Except that the settler colony can’t even stop bottle rocket fire. Stick to murdering medics and using snipers to take out semitic grandmothers. It’s all the LOSERS do well. It is clear that many of the Israeli missiles reached their targets. The Russian spokespeople say, however, that as many as 30 missiles were intercepted. Even if that figure is exaggerated, it’s clear that Israel’s enemies are steadily improving their air defenses all the time, and that not all of the intended targets are being successfully hit. As for the IL-20 Russian recon plane that was accidentally downed by Syrian missiles, I have a theory about that, also. The Russian command probably saw an opportunity for the Syrians to take down one or more Israeli aircraft, in spite of any coordination Israel thought, or thinks, it has with the former Soviets. The temptation to shoot down some Israeli aircraft was simply too tempting for the Kremlin to resist. With some Israeli pilot casualties or prisoners, Syrian/Iranian/Russian leverage over Israeli actions would increase. So, the Kremlin gave the Syrian gunners the green light. Israeli command-and-control and Israeli pilots reacted quickly, precisely because Israel doesn’t really trust Russia. The targeted Israeli aircraft deliberately flew close to the IL-20, so that Russian personnel became the victims of their own subterfuge. Getting back to Syria, however, I remember the War of Attrition back in the late 60s, involving Egypt, Israel and Russia. Israel has said it will not engage in another one of these things over Syria. But, it might be that the participants are starting to head in that direction, anyway, a little bit at a time. It’s clear to me that you believe unverified Mossad stupidity for no reason. Sounds to me like Damascus was untouched AGAIN by the LOSERS. On the basis of a false flag attack, they wasted millions of dollars, in flagrant violation of 1701, to accomplish what? Mossad is full of bullschit! I’m sure this ginned up false flag had nothing to do with the FAILED attack the day before? Your LIES reflect what pathetic, impotent LOSERS you have become. All to defend your al-CIAda heart-chompers! Debka is The Onion, minus the humor. why do u guys constantly write stupid posts? what does it get you, and not just you but so many others who post in Debka. you sound like 15 yearolds needing bragging rights. focusing on the root cause …. i also do not support the zionist goal to make all the world,s people their slaves . i suggest that America and Russia withdraw all support for the mid east and evacuate the remaining Christians and the few ACTUAL Descendants of Israel Issac Abraham and spread them between Russia and America. let what will happen happen . without interference .